Midnight Records Productions provides affordable recording services to area musicians, artists, film makers, advertising agencies, radio and television stations and production companies. We also offer music video production, "Rockumentaries", artist management services and operate an independent record label including e-commerce. At Midnight Records Productions, our primary focus is on the artist and providing a comfortable, relaxed, creative environment. This focus translates to commercial recording services as well as band and singer/songwriter recording. We approach commercial recording with the same attention to detail and creative intent. We pride ourselves on finding unique solutions to individual marketing problems. From the sublime to the severe, we can handle all musical styles and develop unique creative solutions. Music is an immediate and very accessible art form. We believe that contemporary culture should be reflected in the art we produce. We seek to partner with our clients and establish long term working relationships and repeat business. In order to gain your trust and business, we will always go the extra mile. Our studio includes a combination of state of the art analog and digital recording equipment. This allows us to utilize the best qualities of each technology, from the inherent warmth and appeal provided by analog tube preamplifiers, to the consistency and flexibility of digital media. 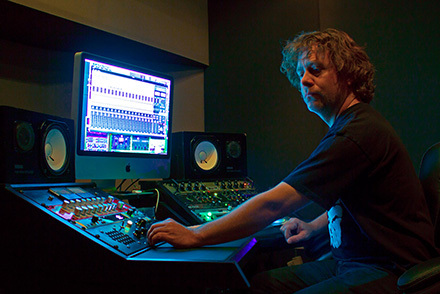 Head recording and mastering engineer Terrance DH and woodwinds studio musician, composer and arranger John Flanders both have a great deal of commercial recording experience including creating music for film and television productions.